Dr. Ronald Greeley was involved in lunar and planetary studies for more than four decades. His latest research focused on understanding planetary surface processes and geological histories, utilizing a combination of spacecraft data analysis, laboratory experiments, and geological field studies on Earth of features analogous to those observed on the planets. 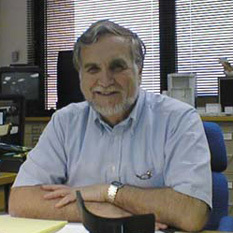 He was a mentor and friend to so many planetary scientists. He died October 27, 2011, at the age of 72.